How does the Big Ticket work? What's included in the Big Ticket? How much is the Big Ticket? How do I book my visit to all of the Blackpool attractions? Do I have to visit all the Big Ticket attractions in the one day? Do I get to skip the queues with a Big Ticket? 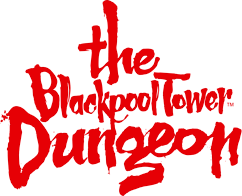 When booking a BIG Ticket through The Blackpool Tower Dungeon, You will need to go to the Priority Entrance at The Blackpool Tower Dungeon on the date you have selected. You must visit The Blackpool Tower Dungeon first where you will be issued your BIG ticket for your other attraction visits. You then have 3 months to visit the remaining attractions, so there's no need to rush!